TUESDAY, April 10, 2018 (HealthDay News) -- In cities, the chances of being bitten by mosquitoes varies according to neighborhood income -- and middle-class residents may be at greatest risk. That's the upshot of a study done in Baltimore, where researchers spent two years analyzing DNA from mosquitoes' stomachs. They found that in low-income neighborhoods, rats were the preferred "blood meal" for resident mosquitoes. Meanwhile, higher-income neighborhoods had fewer mosquitoes buzzing around. But human residents accounted for a much bigger proportion of the pests' meals, compared to lower-income areas. In general, the researchers estimate, it's probably people from middle-income blocks who are at greatest risk of bites. Their neighborhoods may still have trouble spots -- like overgrown lots -- where mosquitoes can thrive. And these people may be outside more often -- in yards, parks and gardens -- compared to people in poorer neighborhoods. "If you wanted to try to predict where a new virus might take a foothold and spread, [those neighborhoods] could be it," said lead researcher Shannon LaDeau, a disease ecologist at the Cary Institute of Ecosystem Studies in Millbrook, N.Y. The findings also raise questions about lower-income neighborhoods, according to LaDeau. Would better rat control reduce the mosquito population -- or just make the pests target humans more often? Duane Gubler is a member of the Infectious Diseases Society of America who studies mosquito-borne diseases. He said it's "unlikely" that better rat control would make any dent in Baltimore's mosquito population, which is largely composed of the Asian tiger, or Aedes albopictus variety. "Aedes mosquitoes are opportunistic. They'll bite anything that comes along," said Gubler, who is also a professor emeritus at Duke-National University of Singapore Medical School. There's no surprise in the new findings, he said. 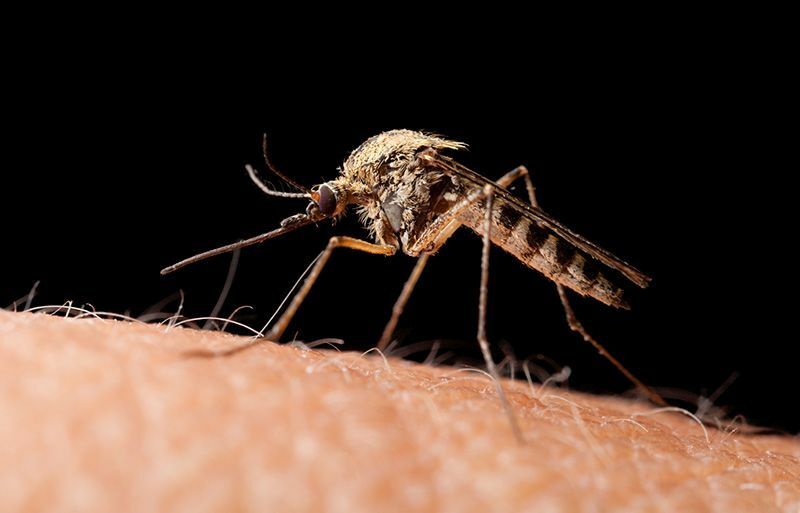 It's known that mosquito abundance, and their inclination to bite people, varies across neighborhoods, based on factors like housing type and "human behavior." Still, Gubler said, it's important for communities to have information like this. "It's very useful for public health officials in planning their mosquito-control efforts, if resources are limited -- as they almost always are," Gubler said. The findings, published April 9 in the journal Parasites & Vectors, are based on a two-year study of mosquitoes in five Baltimore neighborhoods that spanned the income spectrum. Researchers analyzed DNA from the insects' stomachs to determine their main targets for meals. Mosquitoes were most abundant in low-income neighborhoods, because these areas have more breeding areas, LaDeau said. Abandoned properties with holes in the roof and broken windows, as well as overgrown yards and containers of standing water, make a friendly setting for mosquitoes to breed and thrive. But rats were the most popular blood meal in low-income neighborhoods -- where humans accounted for only 6 percent of Asian tiger mosquitoes' meals. In contrast, mosquitoes were least prevalent in high-income neighborhoods (where the median household income was $56,000 a year). But human residents accounted for half of mosquito meals. The difference can be traced to people's habits, LaDeau said. In low-income neighborhoods, people typically spend warm days out on their stoops or other paved areas -- not the abandoned lots where mosquitoes, and rats, hang out. In high-income areas, people often relax in their yards, or nearby parks and other green spaces, where mosquitoes are most prevalent. Then there are the middle-income neighborhoods -- which, in this study, were those with a median yearly income of $41,000. Those areas, LaDeau noted, often have some areas that are "unmanaged" and potential mosquito havens. At the same time, residents often set up community gardens or other green spaces, or simply spend time in their yards. Luckily for Baltimore residents, mosquitoes are largely a "nuisance," rather than a "disease problem," according to Gubler. People can help control the mosquito population, by removing standing water sources from around their home, he said. "But you can't control your neighbor's backyard," Gubler noted. "So if you're going to be outside, use protection." That includes wearing long sleeves and pants, and using insect repellant. If you live near vacant, unmanaged properties, Gubler advised calling local public health authorities to complain. Beyond that, he said, residents may want to form community groups to rid the neighborhood of empty containers and other debris that could harbor mosquito populations.